The Five Minute Friday Retreat is just over a week away! Today, it’s my pleasure to welcome Amy Breitmann, Vice President of Marketing for our retreat sponsor, Vi Bella Jewelry! 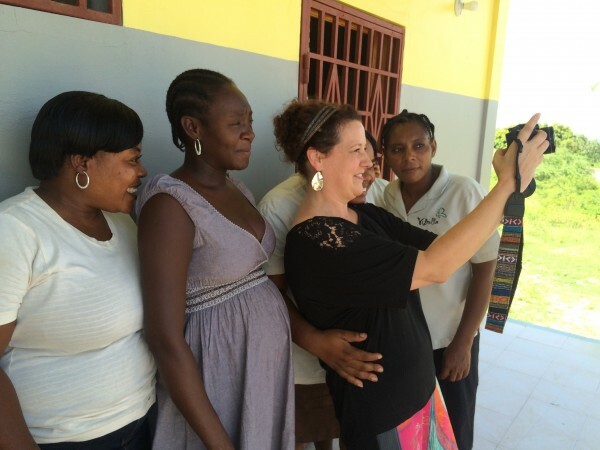 Amy recently traveled to Haiti with Vi Bella, and has some moving words and pictures to share with us from her experience — AND she’s offering the Vi Bella Reagan necklace to one winner in the giveaway below! At ten years old, I coerced my brothers and cousins to dress in costumes, and I directed mini plays with this small cast of characters. About that same time, I began scribbling thoughts and poems in my diary. My mother gave me an appreciation for the history of our family recipes that have been passed down for generations. I loved to lean close and hear the story of how my grandmother made dinner at noon for the farmhands. Antiques and vintage linens were always present in my home and I saw their weathered parts as pieces of a beautiful tapestry. I began viewing the world as a place full of possibilities and promise. Even scratches, scars, rips and tears told a story worth pondering. They whispered bits of history. Everywhere I go, I still look for stories. In eyes of those I meet, in the intricate patterns of the summer leaves, in the hands of women that I work alongside. 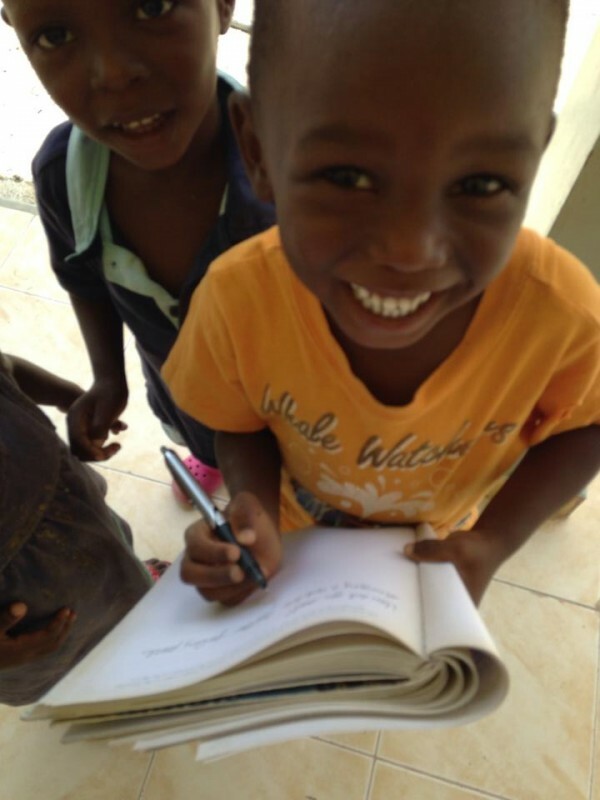 I returned from my first trip to Haiti more than a month ago. My main role was as a storyteller, traveling as the VP of Marketing for Vi Bella Jewelry. 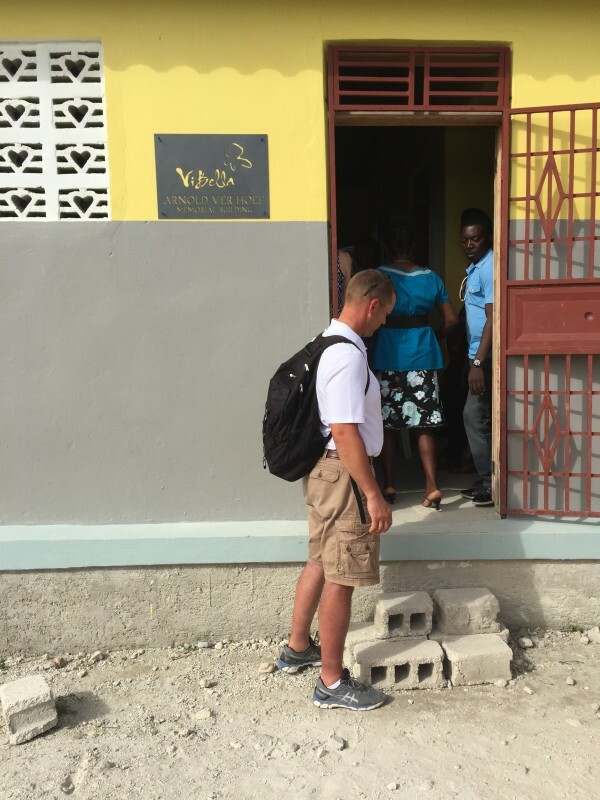 We visited Vi Bella’s two centers located there, taking supplies and training our artisans on some new skills for jewelry pieces that will launch this fall. We also celebrated with the artisans and their families that employment has been consistent for them for four years. Their children have been fed and their living conditions have vastly improved. All because of employment making jewelry. All because someone believed in their story. I still haven’t processed all the stories. There are so very many. Some stories will live forever in my heart, pressing quietly against my longing for a comfortable life. 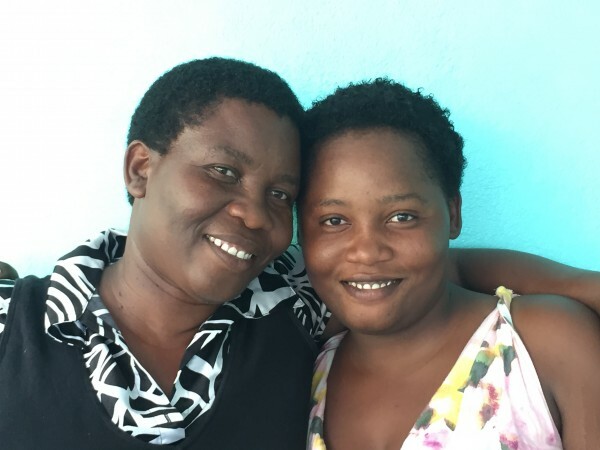 Some stories have fueled me with an even greater passion for my part in moving Vi Bella Jewelry forward to employ more artisans in Haiti, Mexico, and right here in the United States. The trip to Haiti confirmed in me why I was called to be part of this ministry. Why God wove my life in such a way that I would meet Julie Hulstein, Vi Bella’s Founder. God is the orchestrator of the very best stories, isn’t He? If you are not familiar with Vi Bella Jewelry, this company exists to employ artisans who live in extreme poverty. 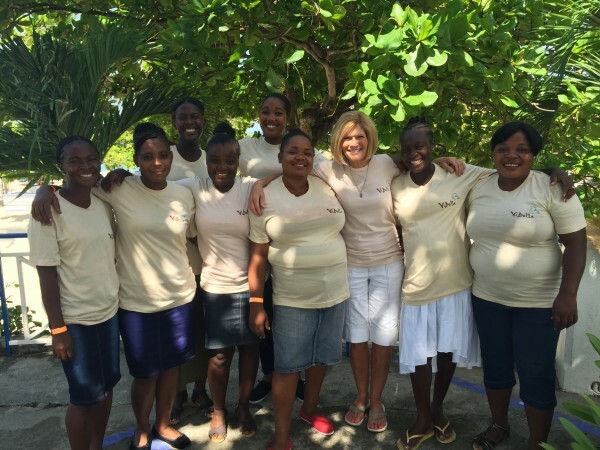 The business began after Julie Hulstein was part of a mission trip to Haiti after the devastating earthquake of 2010. 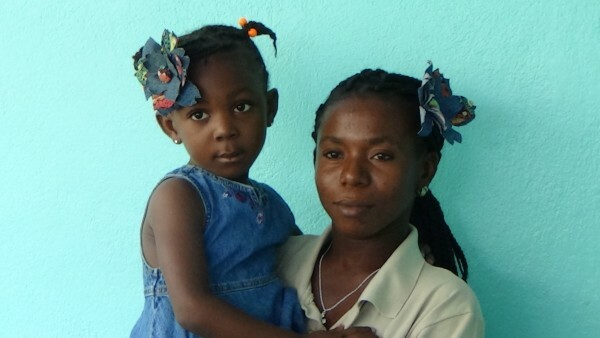 When her story intersected with those in this poverty-stricken country, her life was forever changed. As was theirs. Vi Bella means “beautiful life” and that’s just what Julie and the entire staff at Vi Bella has set out to do: create beautiful lives and communities by providing jobs and education. 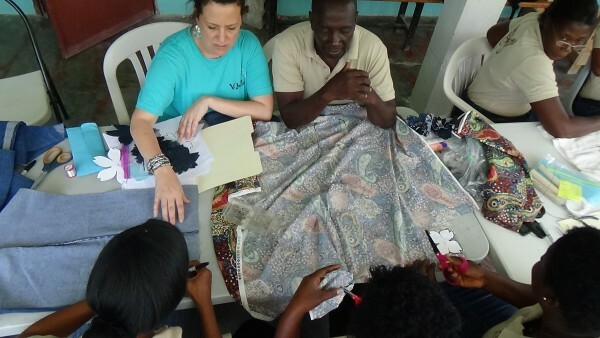 We now employ 33 artisans in four Vi Bella-owned centers. Once you see someone’s story up close, community can happen. Their story becomes part of your life’s tapestry, and your reaction to their story becomes part of your legacy. I want to leave a legacy of stories. I want to be a voice of hope and healing in the stories of brokenness. I’d love for you to join us in telling beautiful stories. Would you follow along on Instagram, Twitter and Facebook? 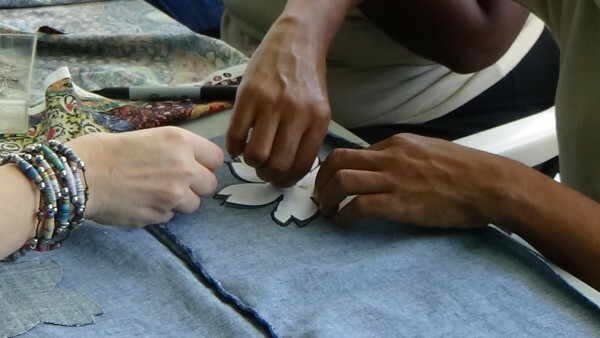 I’m certain that once you meet the beautiful artisans and see their creations, you will be changed and inspired. You will be part of their story of redemption. P.S. For those of you that will be attending the first FMF Retreat in Nashville ~ I will see you soon and can’t wait to share more stories with you! Amy is a writer, dreamer, and visionary. She is the Vice President of Marketing for Vi Bella Jewelry, telling stories of hope and redemption through this jobs creation ministry. Her name means “Beloved” and she’s on a quest to believe it. Her boots carry Midwest soil, but now she kicks it up in the south where she weaves marriage, ministry and motherhood together. As a cancer survivor, she was the Co-Founder of The Lydia Project, an international ministry for women facing cancer. She also is a lost-sock finder, a keeper of secrets for the best cheesecake recipe, and gets grace in the ordinary. The words that tumble out on her blog Beloved in Blue Jeans are balm that the Spirit speaks to quiet her soul. Find Amy on her personal blog, Vi Bella Jewelry’s website, or be social on Facebook, or Twitter @AmyBreitmann. Want to be part of the Vi Bella story? One way you can get involved is by hosting a gathering in your home, church, or workplace. Click the image below for more information! Another way to support this work is by shopping Vi Bella! Giveaway ends at midnight on Sunday, August 2nd. Only available for entrants residing in the U.S.
Amy I love this! I cannot wait to meet you in Nashville and hear more stories. Vibes stole my heart siren I first heard about them last year at Allume. Every time I read something or learn something else about them I feel God’s Hands in every part of the story. I have been wanting to do more but needed to finish up my last year of teaching before seeing what God has next for me. Thank you for your ministry and these words. LOVE ViBella!! I love the Auburn Necklace!! I love the Crimson Necklace! They make beautiful pieces! And this is a beautiful ministry. My computer is giving me fits about loading the catalogue, so I can’t see all the pages and I can’t enlarge enough to see the name of the piece, but on about p. 10 or 11 (or somewhere in there), there is a gorgeous necklace with multiple strands — each strand has a series of beads of a specific color. I love the vibrant hues of that necklace and could wear it with so many things. It’s perfect!! 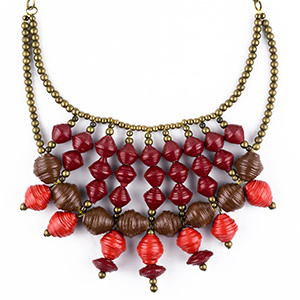 Love the Crimson necklace as well! It was awesome to learn about Vi Bella. I didn’t know about them or Mercy House/Fair Trade Friday until recently. Such great ministries! I love the children’s sugarplum necklace. I was touched at the Jumping Tandem Retreat to hear Julie’s story. This is a beautiful ministry. Thank you for sharing your stories, Amy. I love the bermuda necklace.